CBS news published a story on hypoallergenic pets on their website here. The story did report that pricey pets that claim to be easy on allergy sufferers are probably more hype than true, but than did go on to list dogs and cats that are purportedly hypoallergenic. The claim for hypoallergenicity is based on hair/fur/dander length or quantity... mainly the shorter or smaller the amount, the less allergenic. 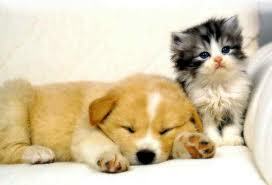 However, there are other reasons why hypoallergenic pets are NOT hypoallergenic. These include a pet's saliva and skin which contain the same protein that trigger allergic reactions. Also, many dog allergy sufferers also have weed, tree, and grass allergies. If your hypoallergenic dog likes to roll in the grass and weed, they are getting that all over them and bringing it into the house and to you. So even if you are not allergic to the dog, you probably are allergic to what's on the dog. Read the CBS story here.